A mouse is an important accessory to have around you. Wireless is being tangle-free and hassle-free. Also with the smart technology of today, we look forward to a smooth and sleek mouse that has been made for easy handling while also working flawlessly for long hours. So if you are looking forward to replacing your mouse for a new one here is a list of best wireless mice to buy in 2019. 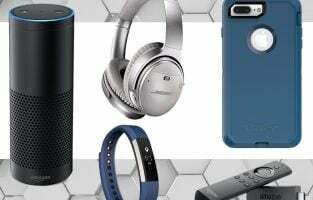 AmazonBasics is pretty much a brand right now competing against big players like Microsoft, Dell and Logitech. They have a huge collection of products under their hood, including bags, office mouse, gaming mouse, authorized smartphone cables and many more. 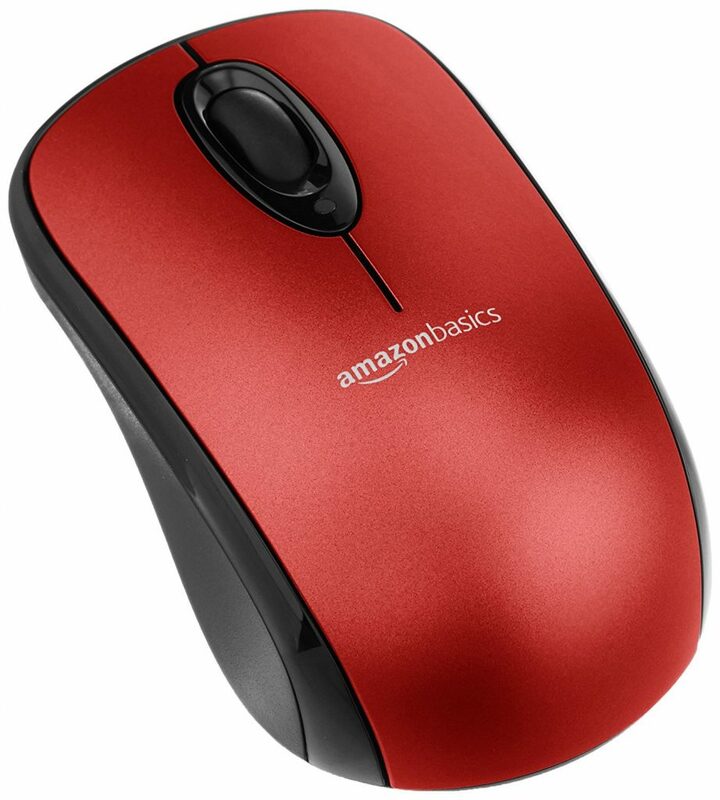 For people looking to buy a bunch of mice for their office or their team in multiple colors, you don’t have to look any further because the AmazonBasics product gets the job done without breaking the bank. They are quite durable if user reviews are to be believed. While most branded products are quite expensive, this one is cheaper but also comes with an assured warranty and is easy to buy in bulk packs. You would hardly believe the fact that this mouse is available for less than $15, the cheapest sum that you could pay for a wireless product. The fact that it is available in four to five different vibrant colors make the purchase highly justified. After all, you would never want to spend too much on wireless mice especially for groups of people who would use it in every possible scenario and may break it easily. This model uses 2.4 GHz signals and is highly accurate. 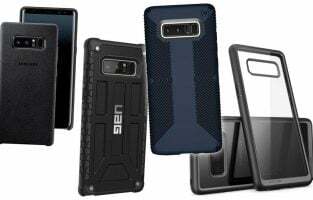 It is responsive, has a small, compact design and comes bundled with a Nano receiver. All you have to do is plug in the receiver on your laptop or PC. The computer will instantly detect the mouse. An ideal aspect of the design is that it also has a compartment where you can store the receiver. As most people in the office use a laptop, you can either leave it connected to the USB port or attach it to the mouse to take it around for frequent traveling. It also comes with one year warranty from Amazon and can be purchased individually or as a 30-pack for large groups of people. It is available in red, blue, purple among other colors. What Makes the AmazonBasics an Excellent Wireless Mouse? Logitech excels at making the best mice even though they have tough competition from different manufacturers, especially in the gaming sector. The company still excels at making office mice on par with Dell and Microsoft who also deliver impeccable products. While you are looking for a wireless mouse, you will probably skip asking for complex features such as additional buttons, customizable software and so on. It helps keep the pricing of the product as low as possible and easier to buy. 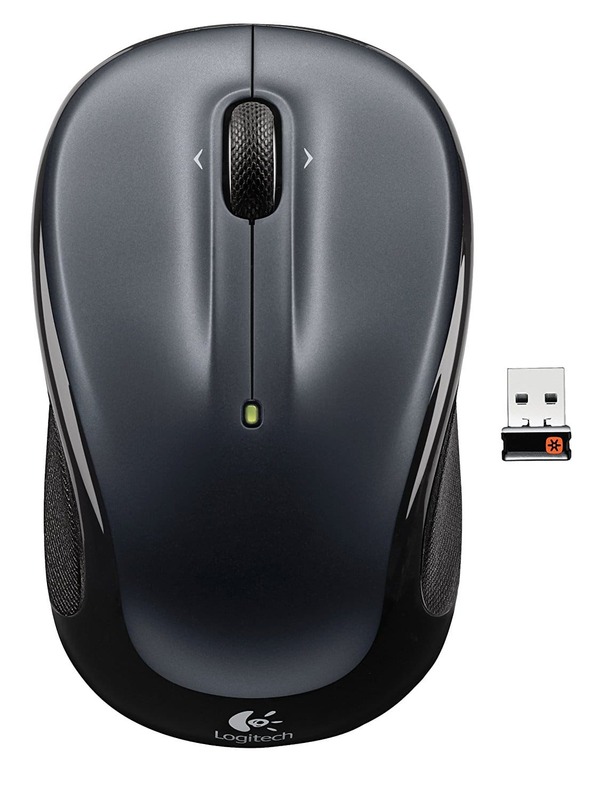 The Logitech M510 is a wireless mouse that is ultra-compact with a tight grip. If you are someone who uses a lot of claw or hybrid grip, this is the one to go for. The top design has dedicated finger rest for those who have small hands and like to lightly hold their mouse while browsing the internet, viewing files and e-mail management. The ergonomic shape combined with the rubber grips on the side ensure a comfortable fit when you use it for extended hours without a break. The dedicated back and forward buttons are a highlight on this product which allows you to move between multiple websites, tabs, zoom in or out when using Photoshop and other similar software. In order to customize it, make sure to download the Logitech Options software. The battery life is very impressive as the mouse can run for a whopping period of 2 years with just two AA batteries. 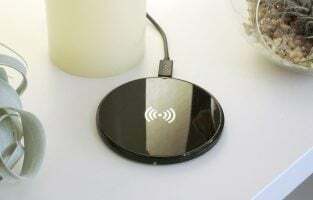 The USB receiver is compact, will work on all types of computers and laptops without having to install any additional software. What Makes the Logitech M510 Wireless Mouse a Useful Product? When you start looking for a wireless mouse, you will often come across unknown brands and even known brands with the focus on a bunch of designs. The best ones, even though slightly pricier than an office mouse, are often found in the gaming category. Being a niche market, not everyone ventures into it, but when you do, you will come across the Logitech G603, which is an ultra-comfortable wireless mouse that is great for office and gaming. Your requirement might vary but it is an easy pick for versatile usage scenario. A major share of the office mice tries to be small, which creates strain in your hands, especially if you use a palm grip. Even those who have a claw grip can enjoy a great level of comfort when the length of the mouse is much longer and easier to move around. The best aspect of the G603 is that it doesn’t have fancy colors or LED lights on top, making it a subtle gaming mouse that you can use at work without grabbing the attention of your colleagues. The pricing is decent and it is equipped with the highest possible optical sensor available that Logitech calls as Hero. An improved optical sensor allows the mouse to easily detect on any kind of surface and move easily. With just two AA batteries, it can work for 500 hours non-stop in low response time mode. For those who have no idea what response time means, it refers to the lag found between a wireless mouse and the cursor on your screen. For gaming, you can always switch to 1 ms to improve response time whereas 7 ms is enough for daily usage. The six buttons on the mouse are fully customizable for use with photoshop, excel or other software. It is lightweight, works with only one battery if you find it heavy to move around and is compatible with Windows, Mac, Android as well as iOS devices. What Makes the Logitech G603 a Great Wireless Mouse for Office? Here comes the best of the best, the most popular and widely loved best wireless gaming mouse in recent times. Gamers may not think twice when SteelSeries is involved because it is such a popular brand in the gaming community where they release some of the best gaming mice, keyboards, mouse mat and other peripherals. 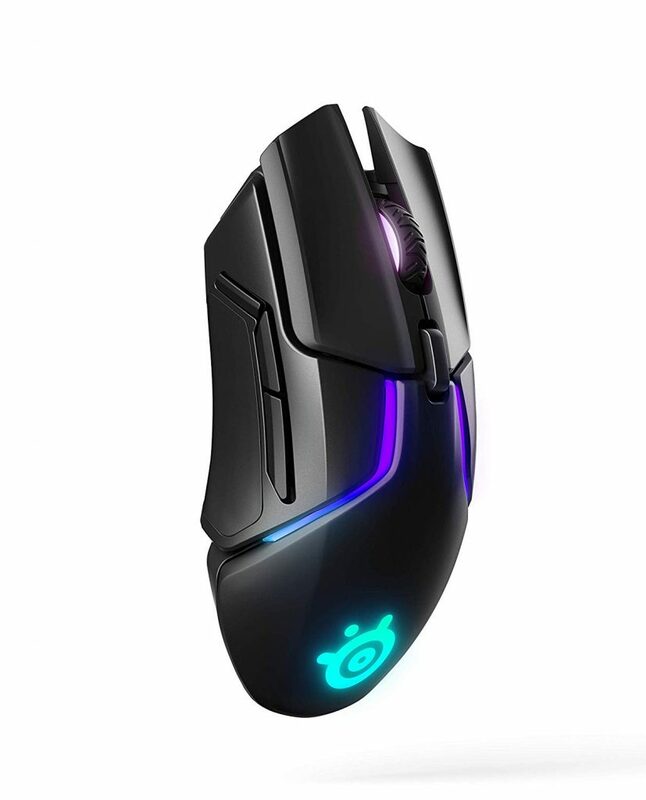 The SteelSeries Rival 650 Quantum Wireless is a premium product not only because of its price tag that is higher than $100 but also with the range of features integrated into it. Lag-free performance is a minimum requirement in the world of gaming where every millisecond matters when playing fast paced shooters and demanding MMORPGs. The Rival 650 delivers 24 hours on a full charge because it has 1-millisecond lag and has colorful LED lights on top to add up to the gaming mood. While you might have to charge it every day, it is worth it as you can cut the cord. The mouse has a massive 12,000 Dpi sensor even though it is very difficult to use it in a normal gaming scenario. It is certified by eSports experts and the company calls it as the TrueMove3+ technology. With the Rival 650 from SteelSeries, you get the ability to customize your lift-off distance. It is the distance that is created between the mousepad and the mouse base whenever players lift it up to cover the distance in the virtual world. The distance can be changed to 0.5 mm which is the least to 2 mm based on how often and how far you move your mouse every time during a gaming session. The weights can be tuned and increased or decreased based on individual player preferences. With so many features, it is easily the most popular gaming choice out there with wireless capability and accurate detection. What Makes the SteelSeries Rival 650 Quantum Wireless a True Premium Gaming Mouse? The top wireless mice list cannot be completed without mentioning some of the best gaming mice available in the market. The Razer Mamba wireless is an ergonomic gaming mouse that found its way into the best wireless mice 2019 category without much trouble. Everything about the product is excellent as it comes from a reliable brand and has amazing build quality, designed to last for years. The mouse features a 5G optical sensor which has a 16,000 DPI, a feature that most gamers would love on paper but find it hard to use in real-world situations. From a business user’s perspective, the Mamba wireless is all about comfort and design. It features Razer’s award-winning design which is slightly curved on the right-hand side for improved grip. The rubber padding on both sides of the mouse creates a comfortable grip even if you are going to game or do office work for 10 hours at a stretch without many breaks. The right and left clicks are made using Omron buttons that can last 50 million clicks. These mechanical switches provide tactile feedback, feels good every time you click and lasts much longer than cheaper wireless mice. The Razer logo is something that gamers are very familiar with but even if you are new to this scene, you would surely love the snake logo that has a distinct appeal to it. There is a lot of seven buttons on the Razer Mamba wireless edition which is fully customizable. Razer Synapse is a software that you should download and can customize the buttons for specific games or for use in Excel, Photoshop as shortcut keys. 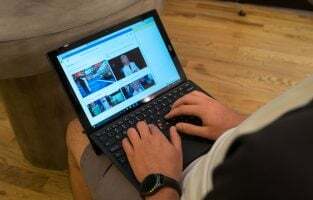 They help navigate front and back in browsers, uses onboard memory so that you can use the mouse on a different PC without Synapse installed on it. 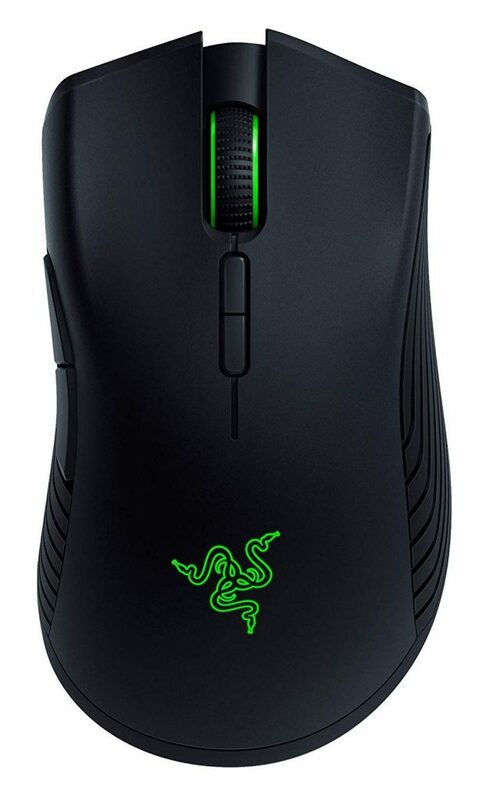 The mouse lasts for 50 hours on a single charge and also has a bright green LED lights with the Razer logo which gives it a gamer experience but not so subtle for office use. What Makes the Razer Mamba Wireless an Ideal Mice? 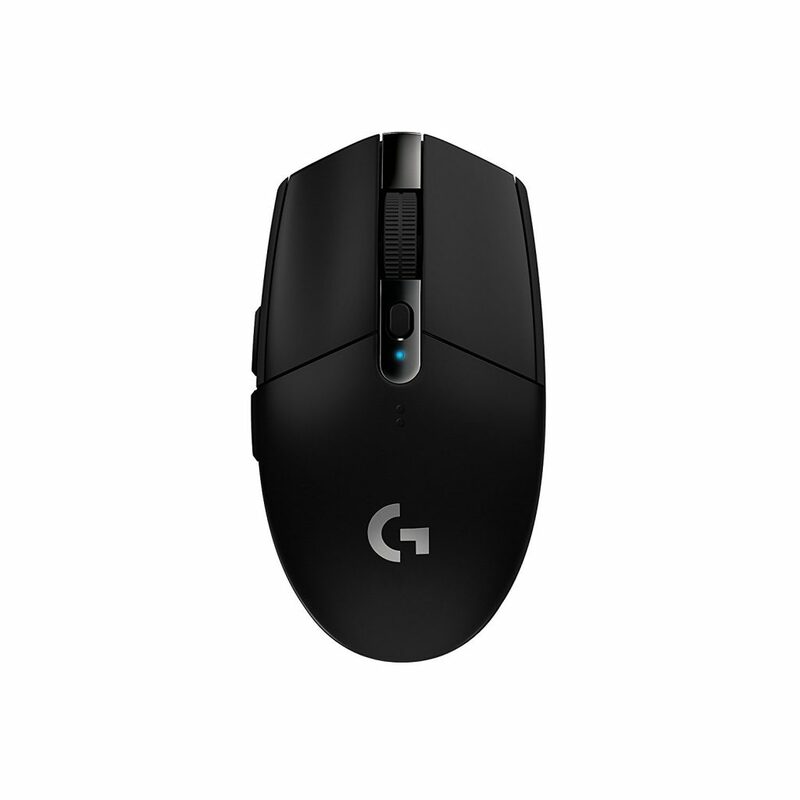 At first look, the G305 from Logitech has the visual appeal to impress almost anyone because it is compact, easy to use and has a very clean finish. The design of the mouse stands out and the fact that it comes from a reputed brand adds up to its overall reliability. Logitech continues to be one of the premium brands and the best at making all types of mice. 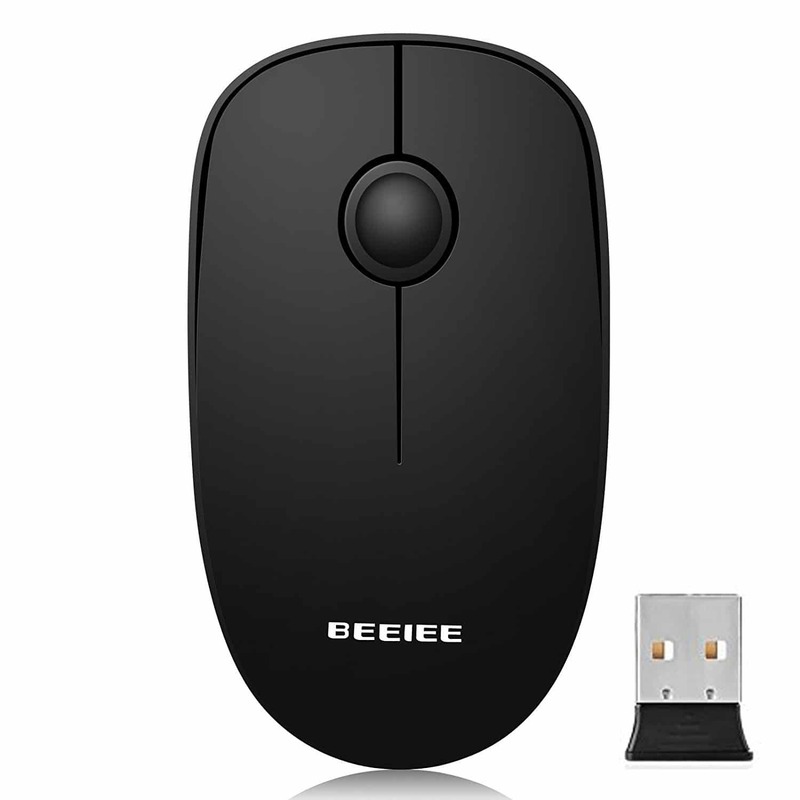 When you are buying a wireless mouse, it is advisable to opt for a product that has a strong manufacturer behind it. It has been rated to last millions of clicks and the connectivity is reliable without any lag or disconnection issues. Common issues like lost connection, wireless issues and lag may seriously affect your user experience. Originally, this particular model from Logitech is made for gamers. 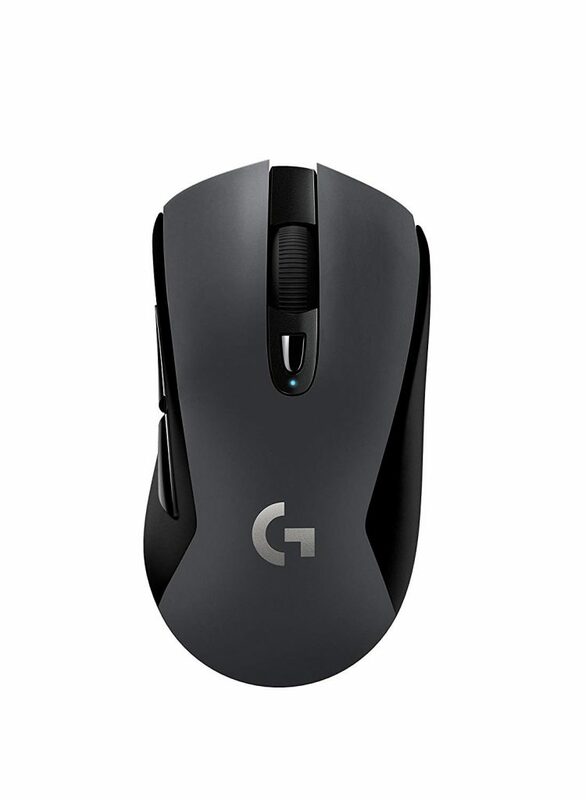 However, it doesn’t have any gaming specific features except for the blue light on the G logo found in the center of the mouse. The scroll wheel is the most exciting part because not many models focus on it and if you frequently use it for Microsoft Excel, this should be your apt pick. The larger space and the textured design allow you to keep scrolling for hours without feeling fatigue. The mouse has higher DPI at 12,000 and the latest Hero optical sensor. 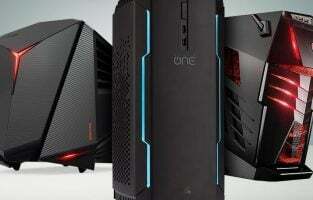 It is geared towards gamers, but for the average user, it provides improved connectivity and accuracy. You will be able to use the mouse on any type of surface without any difficulty. Make sure to download the official Logitech software which allows you to customize the buttons, the light color and use the additional buttons as easy shortcuts without having to rely on the keyboard every time. The battery life is massive at 250 hours with two AA batteries and the USB receiver is small, so that you could use it with compact laptops in an office environment. What Makes the Logitech G305 Light speed the Most Office Friendly Wireless Mouse? 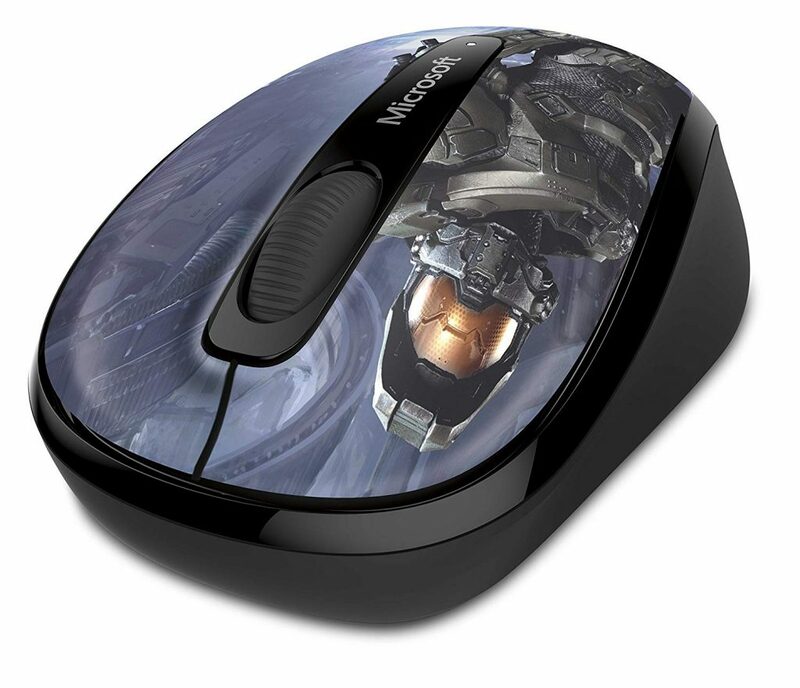 The Microsoft Wireless Mouse 3500 is available in a series of different designs. The Halo Master Chief edition featured here is just one among them because it is also available in pink, a white variant with a textured design and other colors. The varied choices make it an easy pick for people with different tastes and it also proves that office mouse doesn’t have to always have a boring black design. It can be creative and look different which is what Microsoft has done with this product. The wireless mouse uses Blue Track technology which is something we are not familiar with, but as it comes from a reliable brand, we can’t deny the fact that it should be a good tracking technology. The Nano transceiver bundled with the mouse is very small and you can connect it to one of the free USB ports on your laptop. It will hardly come in your way when you are busy working in the office and can be left connected for everyday usage. It makes it easier to pair up the mouse and use whenever you need it. The mobile mouse 3500 excels in terms of battery life. After all, a lot of people think twice before going wireless because the batteries usually fail much earlier or it needs constant recharging. The Microsoft mouse gets rid of both these issues with an extraordinary battery life that can last up to 8 months on a single charge. It also has a dedicated power status indicator which shows in case the battery is low and needs to be recharged. The ergonomic design allows users to use the mouse with palm, hand or claw grip based on individual preference. The added texture, color choices or the Master Chief picture just adds up to its style quotient. 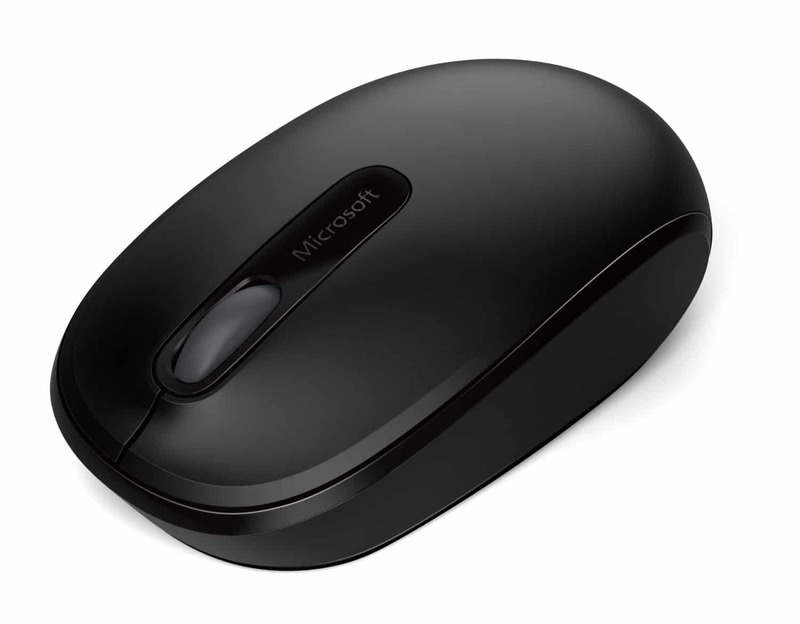 What Makes the Microsoft Mobile Mouse 3500 a Kickass Product? Going wireless is a fun experience when you finally get rid of the chords that keep disturbing you while working. Despite the fact that almost all major laptop models these days feature a great trackpad with spacious design and very responsive touch, using a dedicated mouse feels good in the hand. 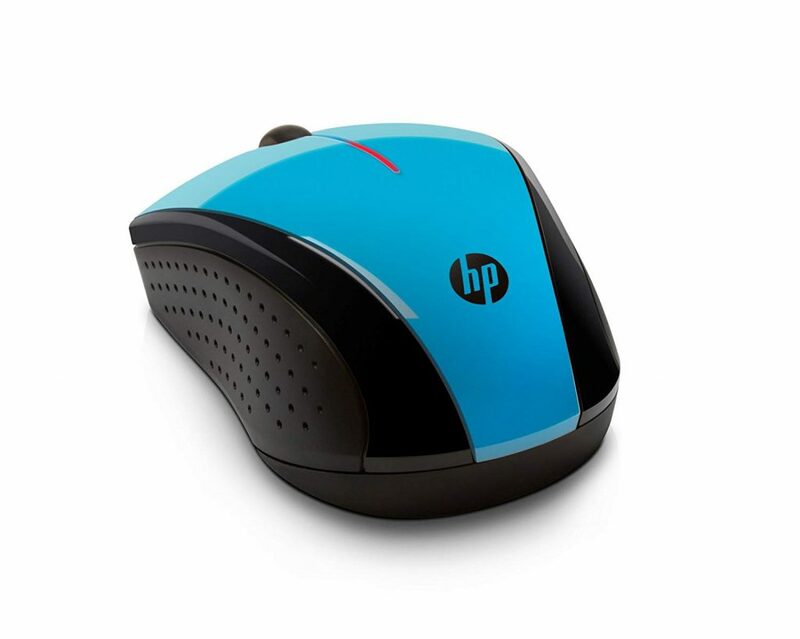 The HP X3000 wireless mouse which is available in multiple colors is a cool choice for your business usage. You can take it out and show off a bit especially if you opt for the red, blue or other vibrant colored variants. Being a compact device, it fits snug in your hands and you wouldn’t even feel you are using one to navigate the cursor. HP is a company that specializes in all kinds of laptops, computers and PC peripherals. The designers have done an excellent job with the X3000. The shape of the mouse is ergonomic yet the bulging in the middle will allow you to rest your palm on it with utmost comfort levels. The advantage is for palm grip users who like to rest their entire hand on the mouse. Those who have large hands may find it difficult to use this mouse because it is small. For everyone else, it is great to hold. The sides are textured which increases the grip and it will ensure it doesn’t split out of your hand when you move the mouse randomly. The X3000 has 1600 DPI which is fast and seamlessly moves through large screen desktops or laptops, whatever your usage scenario is. The scroll wheel is comfortable according to hundreds of reviews that claim it is very durable, zips across on Excel sheets and feels good to touch. 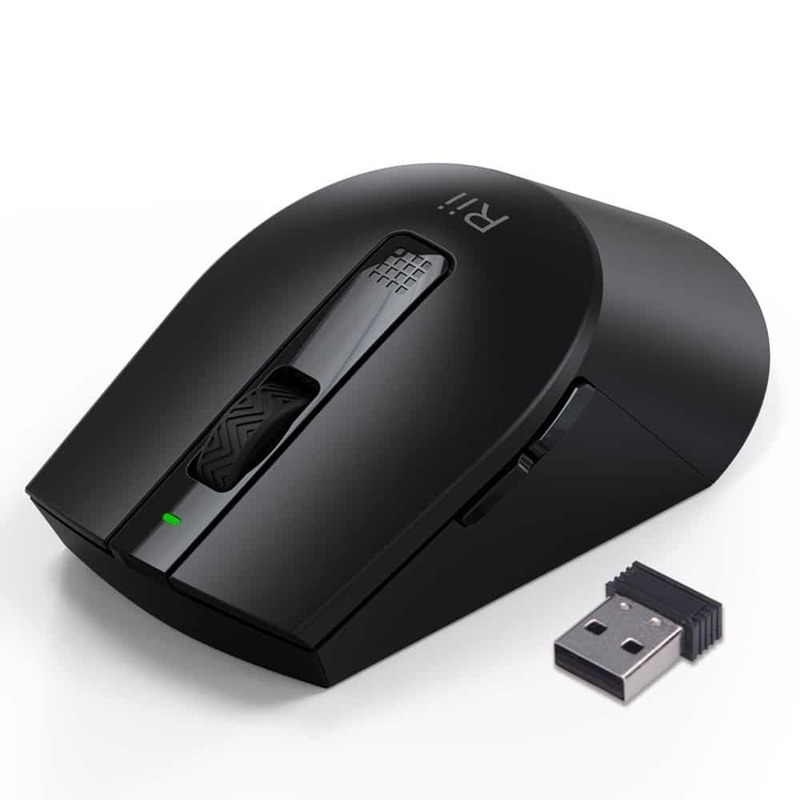 The mouse is connected with the help of 2.4 GHz wireless router and the battery life is very impressive as it can last for 12 months on just one AA battery. You can just insert the battery and forget the fact that it is a wireless mouse which will help you get rid of the wires but there will be no issues of charging it regularly to keep the mouse operational. What Makes the HP X3000 wireless mouse the best in its category? When we are handling something that is wireless we are also looking forward to something that has a good connection. 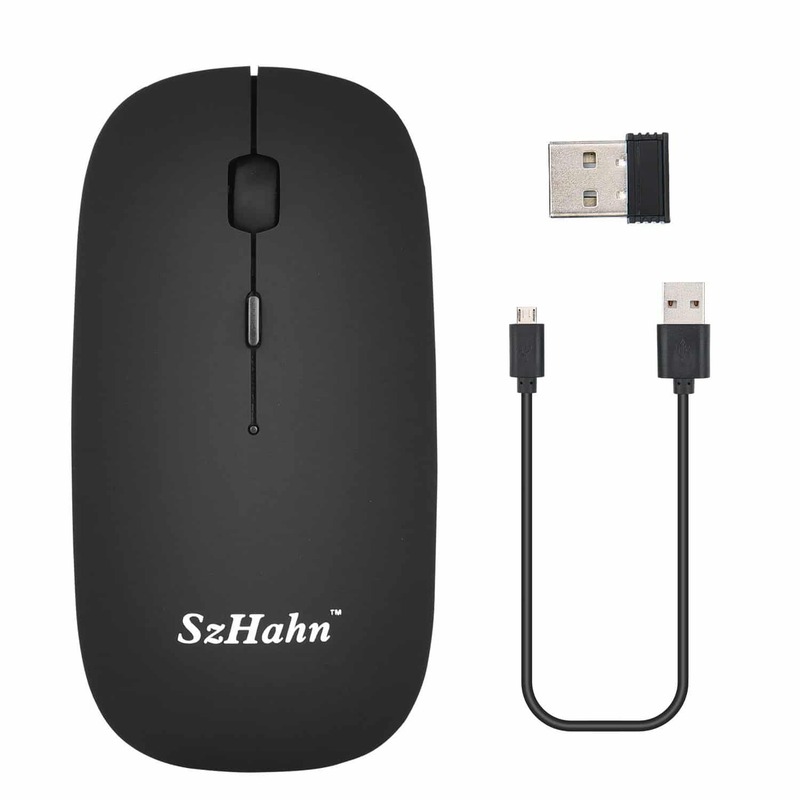 The mouse from SzHahn offers you with 2.4 GHz connection which is not only smooth but faster by 10m. It lets you stay connected through a nano receiver. The sleek design is easy to hold and handle and the advanced sensor keeps it silent – so you don’t get the click sound every time you actually click it. You also get rechargeable batteries with this that can be charged using a fast micro USB cable. One charge lasts you for about 20 days and the smart sleep mode and the On/Off switch helps you save battery. Buy it for $12.50 from Amazon. 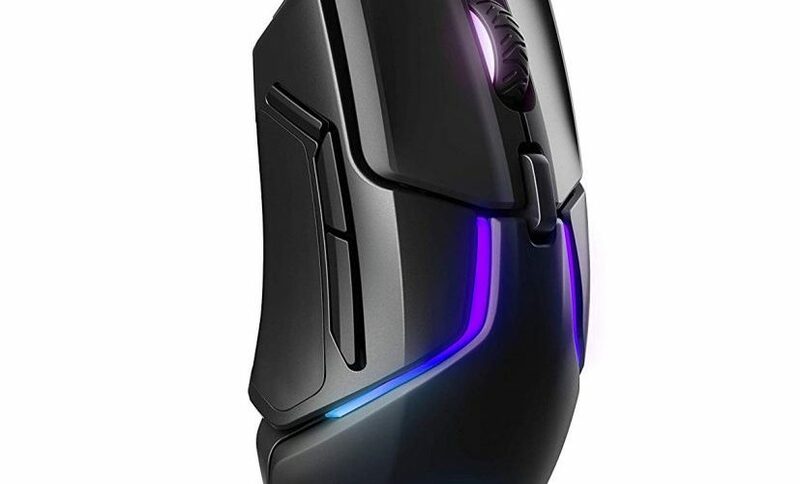 Another mouse with 2.4 wireless technology that gives it a longer range, fast transmission speed, anti-interference ability and reliable connection. It is compatible with Windows, Mac OS and others. The device goes into an auto-sleep mode if it is not used for 5 minutes continuously. If you wish to activate it you just need to click it and it starts working as usual. This is also 95% noiseless so you can work in a silent zone without making any noise in the surroundings. You can avail this at an offer of 69% discount from Amazon for just $7.99. This is a very classy looking mouse that also offers smart features. It is made of ABS plastic smooth which is quite resilient and enhances user experience. When you are not using the mouse you can store the nano receiver inside the mouse. The mouse works perfectly in sync with computers, laptops, and netbooks and has a working range of 360° of 15 meters. The mouse comes in three subtle colors of platinum, white, red, and black. Buy this beautiful accessory for $12.99 on Amazon. Logitech is a known name when it comes to manufacturing the best wireless mice. It not only looks good but feels good too. The matte colour combination gives it a look tasteful and refined look. 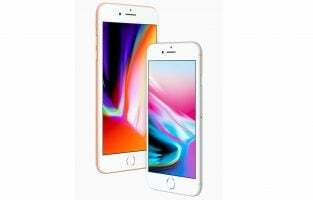 You also have micro-precise scrolling, comfortable design and a rubber grip that lets your palm sits comfortably on it while your fingers scroll effortlessly while working long hours on your device. It also offers a long battery life with advanced 2.4 GHz wireless expertise. While we are adding the link for violet and black combination there are other colour combinations available on Amazon such as red, blue, rose, silver and all black. This wireless optical mouse comes with an ultra-durable build and offers a working distance of 50ft/15m with a steady connection. The nano receiver can be stored inside the mouse when not in use. You have three different options of DPI settings which let you change the speed with which your cursor moves on your screen. The battery life is 12 months and when it runs low the LED light featured on the mouse blinks to inform you about the low charge. Along with the On/Off switch, you also get the smart sleep mode that put the mouse to sleep when you are not using it after a certain time. The mouse can be used by professionals, for daily work and even by gamers. It comes for an affordable price of $7.99. Which company would understand the importance of having a good mouse than Microsoft? This excellent device from Microsoft has built-in storage for the nano trans-receiver. While the mouse looks simple its performance is quite high. 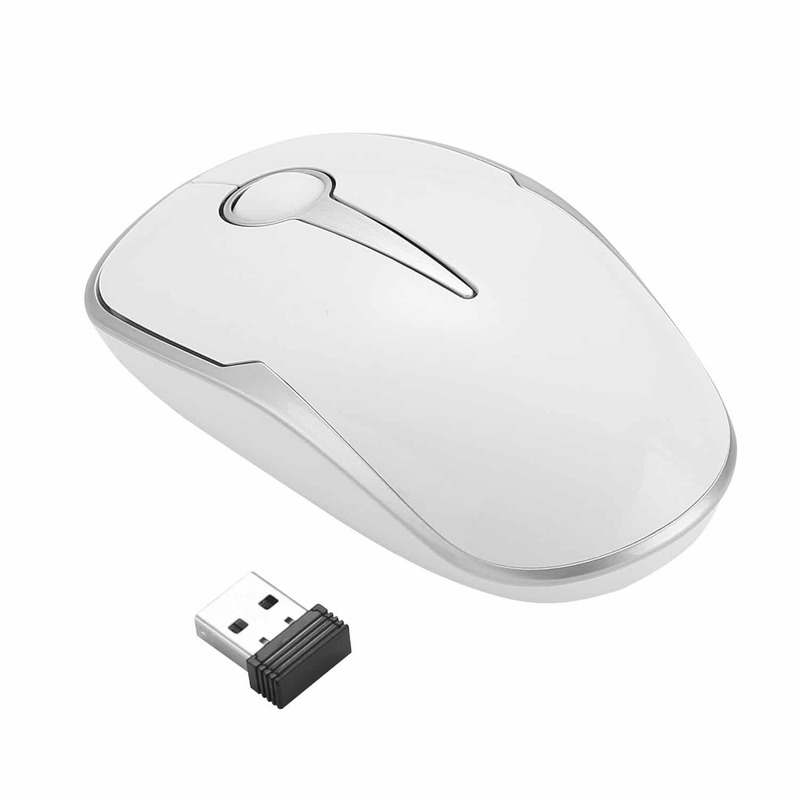 Besides just being easy to use the mouse, it also offers long battery life and easy scrolling. It is an ideal device to be used daily as it has a modern look and feel. There are seven colors available in this – black, flame red, cyan blue, light orchid, magenta, purple and wool blue. You can avail it fora 13% discount on Amazon for $12.98. For those who are using Mac computers, this is one of the best options they can have. The multi-touch area covers the entire surface of the mouse so you can explore desired content. 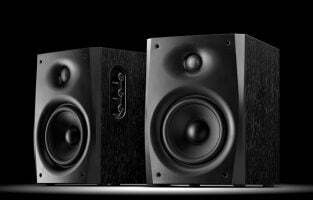 It also offers a wireless Bluetooth technology giving you the option to work from as far as 33ft/10m. When it gets stable and is not used Apple’s Magic mouse goes into power saving mode and helps in extending the battery life of your mouse. It is compatible with iMac, MacBook Pro, Mac Mini and Mac Pro. You get 20 times more performance than the regular optical tracking because of the laser technology it features. Gesture controls let you click and swipe with ease. It is available for $69 on Amazon. The list above has some of the best wireless mice to buy in 2019. There are more options in the market but these are reliable and of the best quality that will stick around with you for a long time.